The Internet of Things is here. The once futuristic notion of a fully connected world is no longer mere imagination. On the contrary, the virtual world and the real world are increasingly intertwined. The unprecedented multiplication of smart devices has enabled a myriad of innovative IoT applications, which have impacted the way we monitor, manage, and control things. One of the most promising fields for the IoT revolution is home automation. A growing number of companies are engaged in developing web-connected household appliances capable of intelligently interacting with the physical world. The Internet of residential things brings a major R&D tax credit opportunity for such companies. The IoT can be defined as “the use of sensors, actuators, and data communication technology built into physical objects that enable those objects to be tracked, coordinated, or controlled across a data network or the Internet”. In other words, it constitutes a scenario where the physical world becomes a type of information system. In the IoT, objects have the ability to sense and communicate and therefore become strategic tools for collecting information and responding to it. IoT residential applications encompass the remote and automated management of appliances, systems, and even entire homes. Connecticut-based iDevices’ iGrill2, a Bluetooth smart connected grilling thermometer that enables the monitoring of up to four temperatures via a companion app, which also informs the precise grilling time to avoid overcooking. Wireless multi-room speaker products, such as Sonos and Samsung M5 and M7, are also examples of smart devices. Controllable via mobile applications, they allow users to stream music directly from their phones. Created by Boston-based Mimo Babies, the Mimo smart baby monitor also illustrates how the IoT can enhance convenience at home. Mimo’s organic cotton kimono is fitted with non-contact, machine washable sensors that measure a baby’s respiration, skin temperature, body position, and activity level. 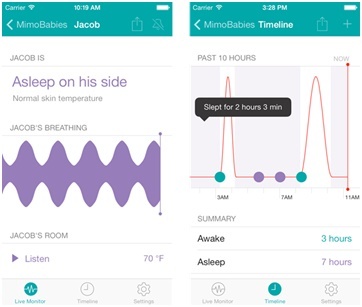 The Mimo app allows parents to see the baby’s data in real-time, set alerts in case of changes, and view trends and analytics about the infant’s sleep. Mimo is also enabled with a microphone, which streams the baby’s sounds to the user’s smartphone in real-time. The IoT also contributes to enhanced efficiency. Savings in utility bills are a particularly interesting example. The innovative Sonte Film, for instance, is the first ever Wi-Fi enabled digital shade that can be controlled via mobile devices. The digital shade technology changes the color of the film from transparent to non-transparent, limiting the amount of light getting into a particular room. Sonte’s Smart Film can be applied onto existing windows, becoming a strategic tool to reduce unwanted heat in the warm summer months. Even non-smart devices can enter the IoT and become significantly more efficient. Located in San Francisco, crowdfunded startup Zuli is the creator of a smart switch, a small device that plugs into existing outlets and enables users to control plug-in lighting and other appliances using an iOS application. With the slogan “your home at your fingertips”, the innovative system offers dimming, motion sensing, scheduling, and energy monitoring capabilities. Security is yet another important field for IoT applications. 2014 CES Innovations Design and Engineering Award Nominee, California-based SkyBell is the creator of a Wi-Fi doorbell that enables users to see, hear, and speak to whomever is at their doors right from their smartphones. Created by a San Francisco-based startup, August Smart Lock can also enhance security by offering an innovative and keyless way to manage access to homes. Through encrypted locking technology, the system communicates with authorized smartphones and unlocks automatically. Virtual keys can be sent to multiple devices and have different configurations – while a family member would have a 24/7 authorization, a cleaning person would get a key that works only for a few hours. In addition, the smart lock keeps record of all the activity, which can be accessed through a mobile app. Recently acquired by Google for $3.2 billion, Nest Labs is a pioneer in the Internet of residential things. The California-based home automation company developed Nest Learning Thermostat, a sensor-driven, Wi-Fi enabled, self-learning, programmable thermostat whose estimated sales have reached 100,000 units a month. Nest thermostat’s ability to “learn” its users’ habits, such as the time one leaves and returns home, and set the temperature accordingly is a striking illustration of industrial design innovation leading to enhanced functionality and improved end user connection. This cutting-edge solution undoubtedly demonstrates the bourgeoning of IoT residential applications. The deal was the second biggest in Google’s history, after the $12.5 billion acquisition of Motorola. Google’s interest in Nest Labs signals the ongoing multiplication of web-connected household appliances, which will represent an important share of the expected $600 billion IoT market in 2025. Enabled with smart sensors that process information and pick up on patterns, these innovative products are poised to be major sources of data. Access to the so-called “Big Data” has gained unprecedented importance, especially for information-driven agents, such as Google. Specialists have seen the billionaire acquisition of Nest Labs as a strategic move to strengthen the company’s presence in urban households and gain a firm footing in the growing market of the Internet of residential things. On June 20th, Google’s Nest Labs announced the acquisition of Dropcam, a video-monitoring and security startup based in San Francisco. Dropcam’s Internet-connected home security service offers real-time streaming of video content to mobile devices as well as a cloud recording capability that stores up to a month of video online. The innovative system offers zooming, night vision, two-way talks via built-in microphones and speakers, and intelligent alerts for motion and sound activities. The $555 million deal signals Google’s continued interest in home automation and adds a new dimension to Nest’s business. 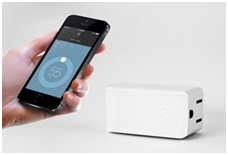 Nest Thermostat has opened the way for other innovative solutions for smart temperature control. General Electrics, for instance, partnered with New York City invention company Quirky to develop a smart window air conditioner. Denominated Aros, the A/C is capable of learning from its owner’s budget, location, schedule, and usage to automatically maintain the perfect temperature and maximize savings. Additionally, it can be monitored, programmed, and controlled from anywhere using the Wink app for mobile devices. One of Aros’s most innovative features is its ability to respond to the user’s smartphone’s GPS settings, turning off when one leaves home and guaranteeing a comfortable temperature when he comes back. According to McKinsey & Company, the value-based LED market share in general lighting for 2011 was estimated at around 8 percent in North America. This figure is expected to grow to nearly 45 percent in 2016 and 70 percent by 2020. When integrated to the IoT, LED lighting infrastructure becomes smart multiservice platforms and strategic data-gathering tools. Recently created innovative systems have transformed light fixtures into networked, sensor-equipped, solid-state, smart devices capable of capturing and transmitting sensory data about the surrounding environment. Such systems make each fixture a node in a broadband network, which can be used for a wide range of applications. This innovation enables lighting owners to capitalize on the LED conversion process, amplifying its benefits beyond reductions in energy and maintenance costs. Philips’s recently launched Hue lux is an interesting example of smart lighting solution. The bright-white LED bulbs can be controlled via smartphone or tablet and feature outstanding digital dimming capabilities. Potential applications for LED sensor networks in residential settings are numerous. Enabled with sensors, smart lighting solutions can go beyond dimming capabilities and feature non-lighting-related functionality. LED lighting infrastructure can become the basis for smart security systems, environment sensing (temperature, humidity, etc. ), and audio sensing, among many other applications. Most of the residential IoT technology currently available focuses on the control of individual appliances or systems. Each solution carries different companion apps, network protocol definitions, and security mechanisms. In this very fragmented market, a growing number of companies are engaged in the development smart home hubs, aimed at streamlining communication and control of multiple smart devices. 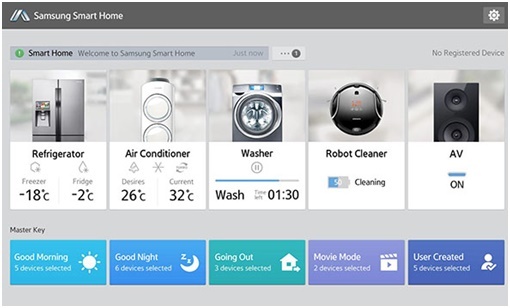 Samsung recently announced the global launch of its Smart Home service, designed to make home automation “effortless and easy” through a single app that simultaneously connects and controls multiple household appliances. With a simple command such as saying “Good Night”, users can automatically turn off multiple devices, such as TVs, smart bulbs, and air conditioners. In addition, people can remotely manage their devices via smartphones. While the service will be initially restricted to Korea and the U.S., Samsung plans to expand both the geographic scope and the capabilities of the Smart Home. One project consists in linking Samsung Gear Fit, a wearable fitness solution, to the home automation system. Apple has also been working on a smart home solution. The so-called HomeKit is expected to turn iPhones into remote controls for the Internet of residential things. Rather than a new app, the innovative iOS 8 feature will be integrated with Siri, meaning that it will work through voice commands. Users will be able to control individual smart home devices as well as groups of items, such as all the appliances in one room or all the lighting in one floor. Initial partners include August Smart Lock, Philips Hue Personal Wireless Lighting, Honeywell Thermostat, iHome Speakers, and the manufacturer of semiconductors Texas Instruments. Apple’s attempt to enter the smart home market capitalizes on the necessity of overcoming long-standing compatibility issues, which have crippled the functionality of smart homes. The idea is to use one of the most popular phones in the market to introduce a new framework through which smart devices will work together. In other words, Apple wants to be the thread that connects appliances and devices in our smart homes. One of the most popular hubs currently available was created by Colorado-based startup Revolv. Self-described as the most powerful, compatible smart home hub in the market, Revolv allows users to harmonize smart devices, unifying them in one app and allowing them to communicate with each other seamlessly. SmartThings, Vivint, and iControl are other examples of companies offering innovative smart home hubs that promise an effective, unified approach to the Internet of residential things. Home automation promises to make our lives easier and more connected than ever before. The multiplication of innovative smart devices as well as the attempts to unify them under new smart home frameworks creates a major R&D tax credit opportunity for IoT companies.